We work closely with realtor agents in order to help speed up the closing process. We specialize in Class 4 High Impact roofing systems. Our crews expertly install both residential and commercial roofing systems. Flynn Roofing boasts a BBB A+ rating, and only uses the highest quality materials and installation techniques. We value quality over profit. Flynn Roofing takes a personalized approach in helping our customers. We partner with you to make sure you have the best roof repair experience possible. From the consulation, installation and final inspection, we are with you every step of the way. 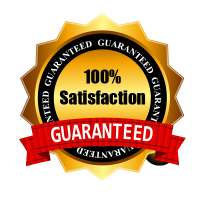 Flynn Roofing uses the same estimating tools as the insurance companies. We work closely with your insurance company to make sure you get the highest quality roof without any out of pocket expenses. As a family owned and operated company, it is our priority to restore your home as quickly as possible. We provide insurance claims assistance to ensure a seamless process. Flynn Roofing was recommended to me by a friend. I have a very large house and had just been through a harrowing year-long experience with a disreputable roofing company. Cody was extremely professional, honest, and courteous. Flynn Roofing did an exceptional job for an exceptional price (same price as the insurance claim). They were careful about debris and made sure that no nails were left around my property. They explained the entire process and did exactly what they said that they would do, when they said that they would do it. They worked with my insurance company and allowed me to pay them once our insurance company and mortgage company released the funds rather than demanding full payment up front. The entire experience was excellent. I had even scheduled reinstallation/realignment of my Dish Network and wireless internet antennas but was able to cancel both appointments because, once Flynn Roofing put them back up, they worked perfectly. I HIGHLY recommend this exceptional roofing company. 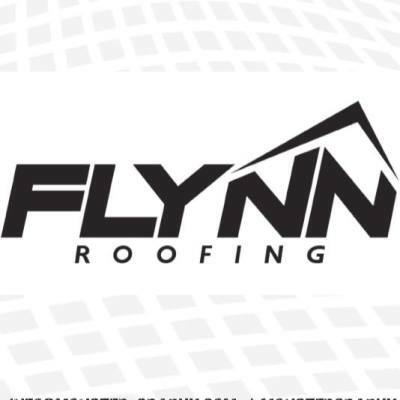 Flynn Roofing is the company to go to when you have roof issues. We lost our roof in the hail storm on March 25th with baseball size hail. The day after we had roofing company representatives bumping into each other as they knocked on our door trying to get our business. This is the first time we've ever had a roof replaced so we didn't REALLY know what to do. What we did know, we weren't impressed with any of the "hard sell" tactics the reps were using as they CONTINUOUSLY rang our doorbell. Then my daughter told us about Cody Flynn. We called, he was there the next day and spoke to my husband and oh my, my husband is HAAARRRRD to impress. But he couldn't say enough good things about Cody!! I was astonished because he was so irritated by the number of phone calls and doorbell rings from other companies!! So Flynn Roofing it was!!! They came out and did a FANTASTIC job on our roof!! They are a local family owned company and you feel like you've known them forever when you meet them the first time. Not only do they do roofs but we also are using contacts that Cody gave us for our guttering and fence!! One stop shopping, lol!! So if you or anyone you know needs roofing work done, don't hesitate...CALL FLYNN ROOFING!!! Excellent quality! Family owned and operated. My customers have been pleased by the results! Great choice for your storm damage repairs! Flynn Roofing specializes in Class 4 High Impact Resistant Roofs. 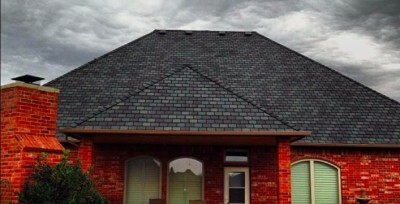 The shingles are made in Oklahoma, and upon installation lower your premiums 27%. This high definition ridge shingle will add value and beauty to your home. Let us repair your roof for no cost out of pocket for you. Whether you need your roof, gutters, garage doors, fencing, painting, or windows replaced, Flynn Roofing is your company. Call us for a FREE INSPECTION today!